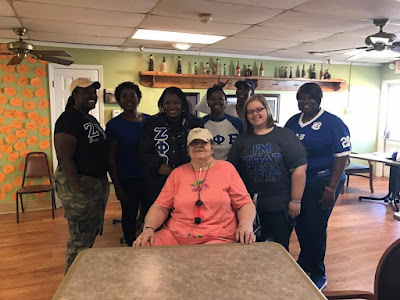 Zeta Phi Beta Sorority, Inc., Omicron Alpha Zeta Chapter held their Zeta Day of Service Event at the Lillian Carter Rehabilitation Center in Plains, GA. The seniors at the center was excited to see us when we arrived that morning. We had the opportunity to take them into the activity room. Once we were in the activity room, sorors began to hold conversations with them until the room was setup for bingo. 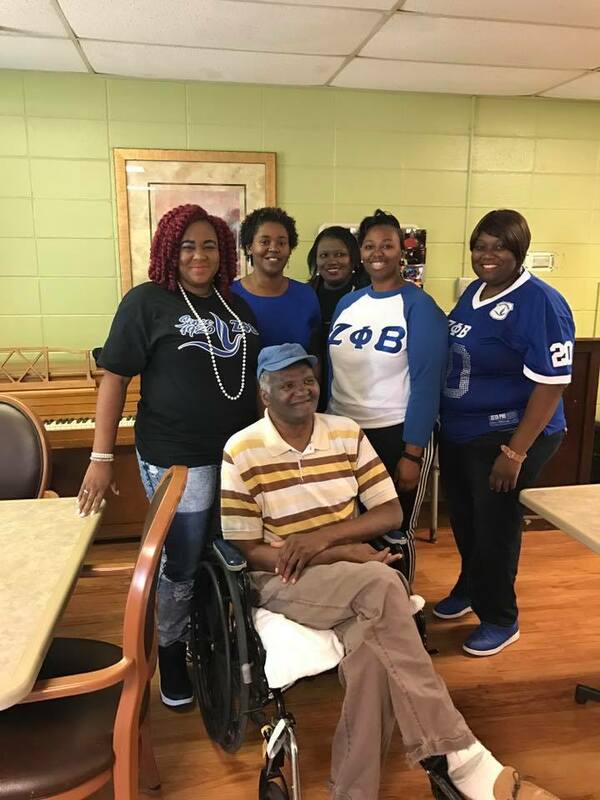 When bingo was setup, each soror was paired with two to three seniors to assist with them bingo. Soror Kina Davis called the numbers. The seniors were able to win some great prizes. 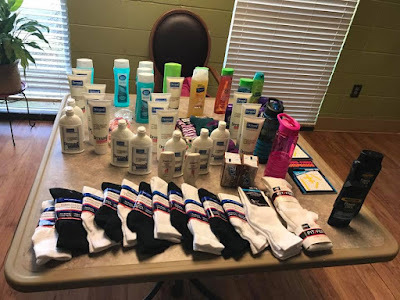 Some of the prizes were socks, body wash, lotion, soap, deodorant, puzzles, and drink bottle. The seniors and the sorors had a fun filled morning. We look forward to our upcoming Christmas party with them in December.